As a lover of cheese, the idea of making my own was obviously an appeal. My friend Guy gave me a book called Making Your Own Cheese and it has recipes for most common cheeses. The simplest involves very little process; take some milk and split it into its separate components by adding something acidic. The solid stuff, curds, are then drained off from the liquid. Once fully drained the curds are seasoned with salt. That’s it! This is the beautiful simplicity of ricotta; all other cheeses involve some process from this stage to arrive at the final product. 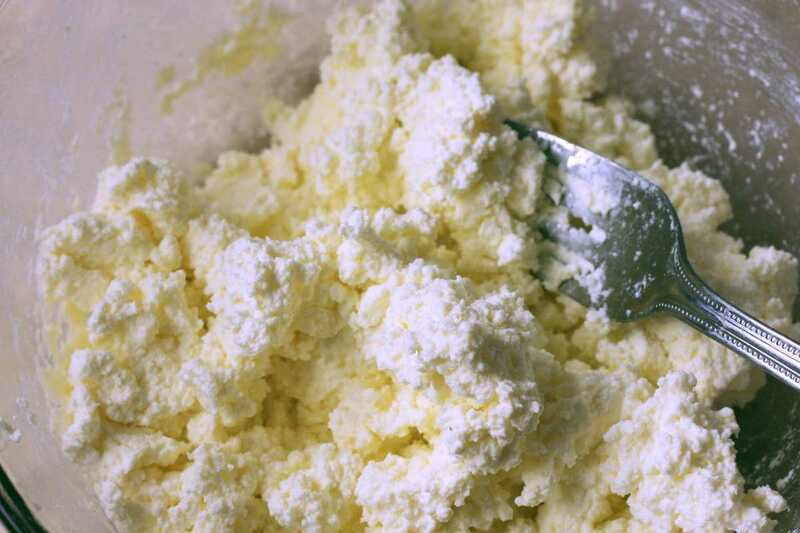 Combine the milk and lemon juice in a large pan and slowly heat to 83C; the curds will begin to separate from the whey. Hold at this temperature for 15 minutes. Meanwhile, dampen and fold muslin into 5-6 layers. Carefully Ladle the curds onto the muslin and bring the corners together to hang. Drain in the fridge for 4 hours. Salt to 1% by weight.